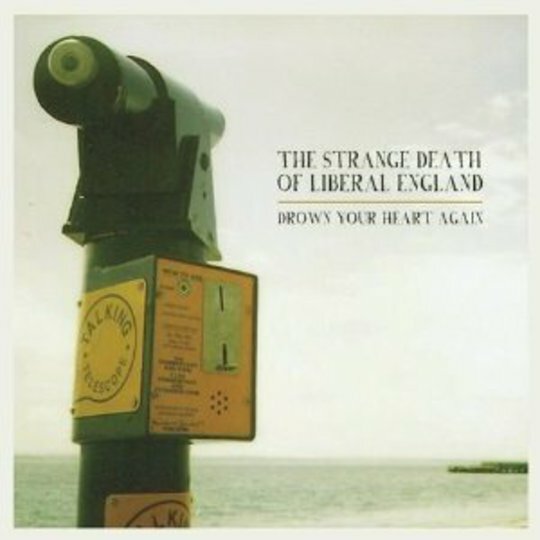 For a band who seem to have been around forever, it will probably come as a surprise to many people that Drown Your Heart Again is in fact The Strange Death Of Liberal England's first actual long player. Having been tipped for greatness on these very pages some five years ago, they've slipped off the radar somewhat, which is something of a shame as their admittedly sporadic single and EP releases to date have maintained high standards of quality control where many of their peers from back in the day failed, miserably. 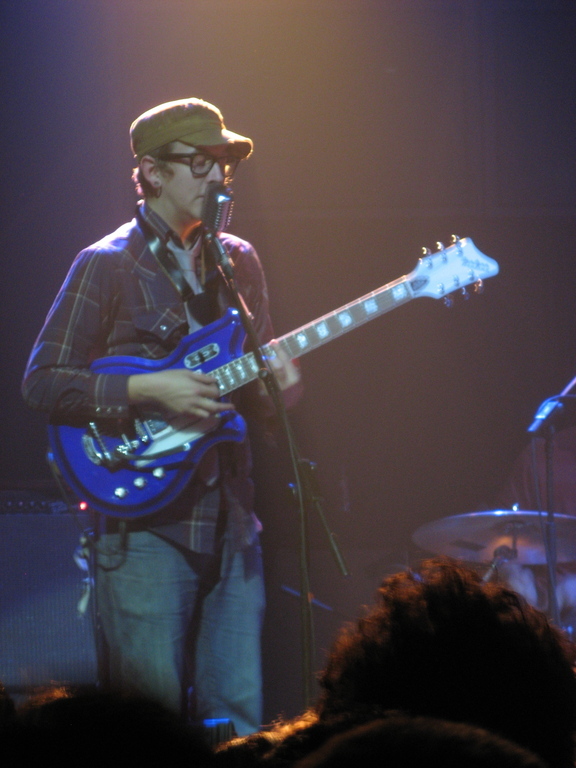 Perhaps the comparisons of those early recordings to the lofty likes of Arcade Fire and REM proved a hindrance, as such praise would be difficult for even the most accomplished of artists to live up to. Nevertheless, the promise shown on 2007's Forward, March! mini-album has reached fruition here, not least in the unquenchable development of their songwriting talents. If first single 'A Day Another Day' announced their intentions, albeit to the indie scene illuminati, the ten pieces that make up Drown Your Heart Again represent a composed transition for a band unfairly forgotten in an ever-changing cyclical musical landscape. Although not a concept album as such, the sea-related themes on Drown Your Heart Again only add to its mystery and glamour, while enlisting producer Dave Allen - whose previous credits include the likes of Disintegration and Some Friendly - also proved something of a masterstroke. Indeed Allen's astute capability in fleshing out recordings so every instrument stands out in its own right is undoubtedly one of the most satisfying aspects of Drown Your Heart Again. Ambitiously conceived as anyone aware of The Strange Death Of Liberal England's previous output would expect, the addition of string segments, mariachi brass and military style drum echoes to the conventional aspects of a five-piece band makes for a thrilling adventure that in many ways is closer to British Sea Power's more experimental outings than the transatlantic megastar comparisons of yore. 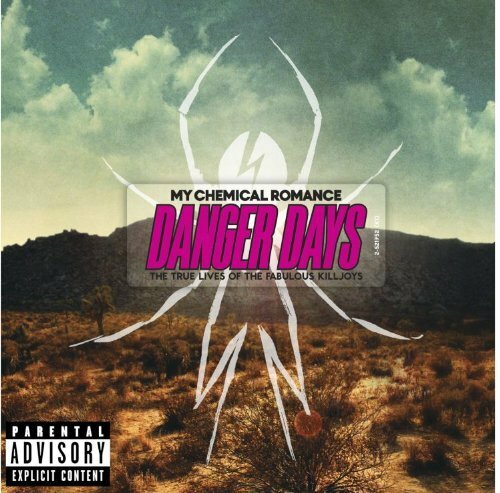 Take opener 'Flickering Light', where all the musical elements combine in one glorious operatic rockout, main vocalist Adam Woolway opining nonchalantly "nothing lasts forever anyway" as the song peters to a halt. Elsewhere, the contrast between the despairing lyrics and sprightly musical arrangements continue as he sighs "our history grows, our future corrodes" on the similarly upbeat 'Lighthouse', while the closing 'Dog Barking At The Moon', a near ten-minute opus split in two parts, delivers the couplet "everybody likes a good old war, especially when you don't know what you're fighting for" to devastating effect. There are times where Drown Your Heart Again tails off a little; the laidback acoustics of 'Yellow Flowers' and brass fused 'Come On You Young Philosophers' don't quite hit home as hard as most of the other compositions here (despite the latter possessing the best song title we've come across this year). Overall though, Drown Your Heart Again is an accomplished body of work that serves as a timely reminder of why The Strange Death Of Liberal England caught people's attention in the first place.